Baking is art and passion best sprinkled with love. 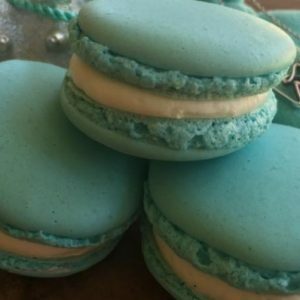 Vickymarié Alicea first discovered this during her time as a student at Le Cordon Bleu in Orlando, Florida. What began as long hours of study to master the challenges the world of Patisserie had to offer quickly grew into a love affair with baking. After spending years working in successful bakeries throughout the United States, she decided to start her own full service bakery in 2015. During this journey, she met some amazing people whose love and appreciation for cakes and sweets rivals her own. 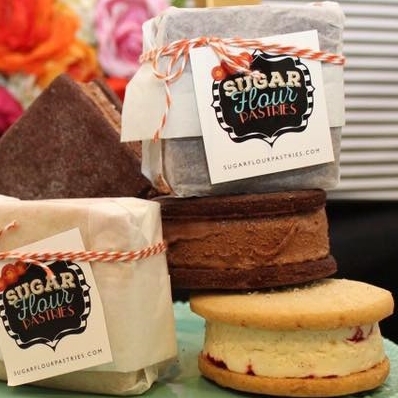 Sugar Flour Pastries bring hand crafted Ice Cream Sandwiches and macaroons to the farmers market every Saturday. Their current flavors are easy to find on their facebook page.